Just days after General Motors took many by surprise with an announcement that it might close a factory in Detroit, there’s some encouraging news in the Motor City: Fiat Chrysler is expected to open a new factory in the city, according to a report from The Detroit News. A source familiar with the plans confirmed the news to Jalopnik. The News reports that FCA plans to revive the Mack Avenue Engine II factory, which has sat unused since 2012. 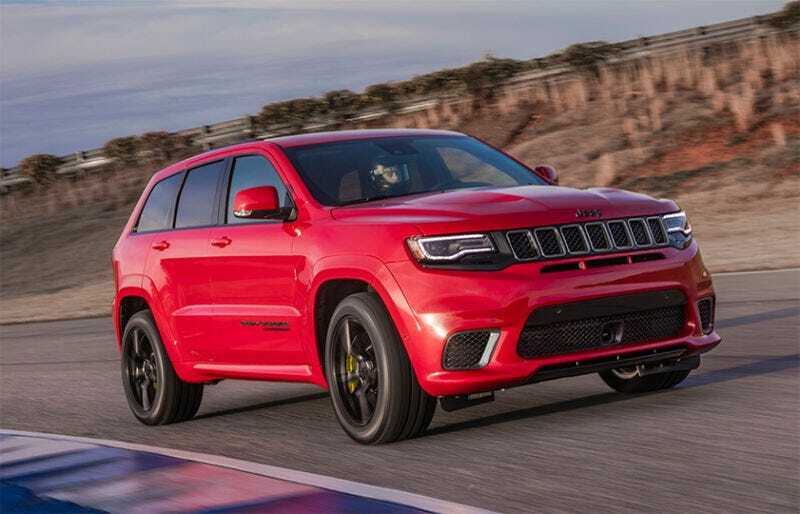 When it’s up and running, the automaker plans to use it to build a new three-row Jeep Grand Cherokee for model year 2021, the newspaper said, citing multiple unnamed sources familiar with the plan. The move could add at least 100 and up to 400 jobs in the city. The renovated Mack Avenue facility would be the first new auto assembly line to open in Detroit in 27 years, potentially cushioning the blow of General Motors Co.’s plans to stop production of four sedans at its Detroit-Hamtramck assembly plant by June 1. FCA’s plans are the latest move by automakers in the waning days of the year before Detroit’s automakers renegotiate their contracts next year with the United Auto Workers. FCA wouldn’t comment to the News, and a spokesperson told Jalopnik the same, when reached by phone Wednesday. When the Mack II plant starts production, the News reported that FCA would then retool the Jefferson North Assembly Plant across the street to facilitate production of two- and three-row Grand Cherokees. A public announcement is anticipated sometime next week, according to the report. If the plant comes online, the News noted, it would mark the first new automotive assembly plant to open in Detroit in 27 years.